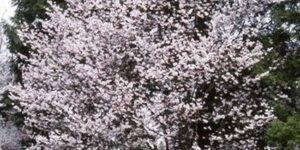 The Cherry, Sargent, Prunus sargentii, is not only the hardiest of the ornamental cherry trees, but also one of the largest and most beautiful. 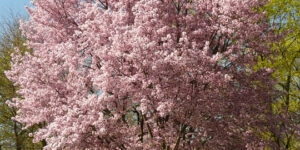 The tree’s abundant spring flowers are deep pink and appear a week or so before most double-flowering cherries. 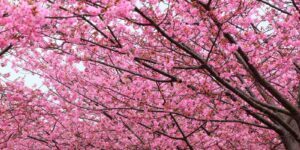 Black fruits, beloved by birds, appear in summer. 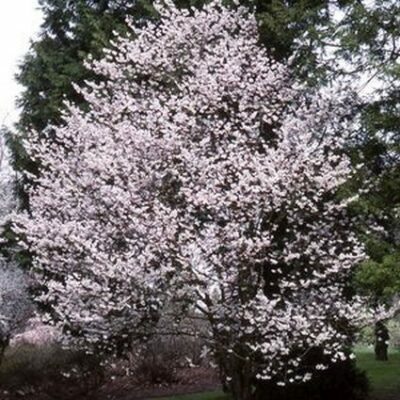 The Sargent Flowering Cherry tree has polished, rich, chestnut-brown bark and dark green deciduous leaves that turn red in fall. 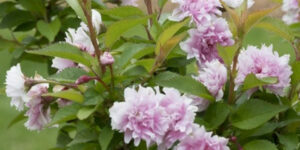 Plant Sargent Flowering in full sun and it does best in well-drained, acidic, moist soil. 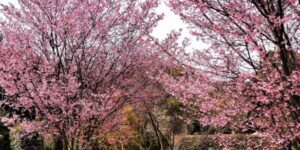 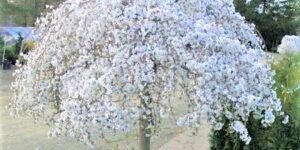 It is not difficult to transplant, and lives longer than other cherry trees, sometimes more than 50 years. 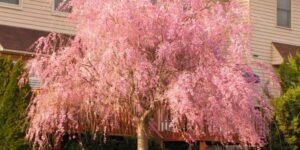 Cherry trees can be used as specimens, street trees and shade trees on larger properties. 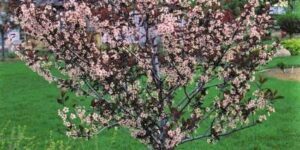 You can’t beat this ornamental landscaping tree that has a vase shape, shiny, dark green foliage, food for birds, and takes on orange, red and yellow hues during the fall!